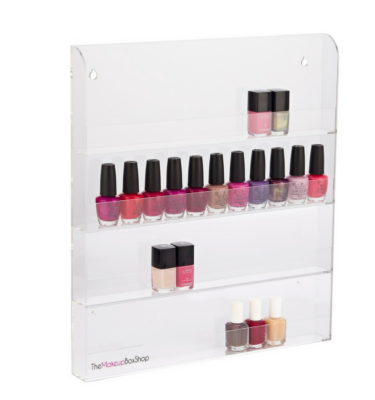 This Nail Polish Organizer from The Makeup Box Shop is made from clear acrylic. The Makeup Box Shop was the original designer of the Clear Acrylic Nail Polish Organizer. The Makeup Box Shop is a proud Australian owned company. 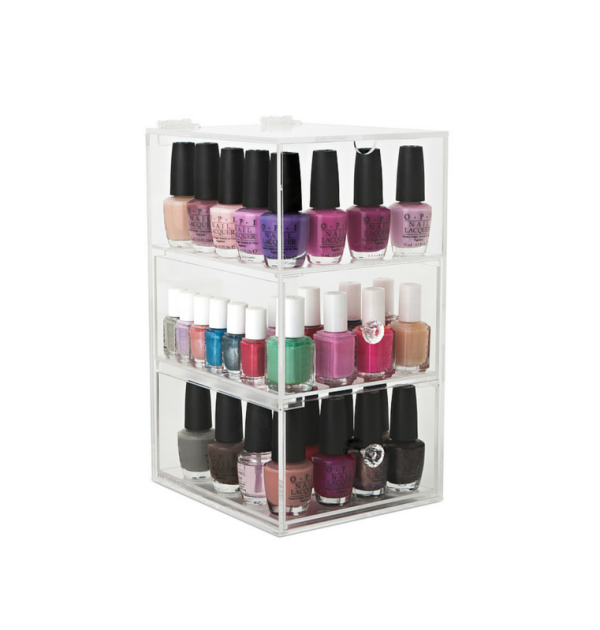 Keep your nail polishes safe and store them in this gorgeous acrylic unit. All nail polishes are stored upright. The clear acrylic design means you can get the nail polish you are after when you need it most. Holds a variety of polishes such as OPI, Sally Hansen, Essie, Deborah Lippman, Orly and more. Three compartments – 2 drawers with the top unit being able to be flipped back completely to hold taller items such as perfumes, lotions etc. These Nail Polish towers come with the Glamour or Original handle. The Makeup Box Shop is the home of the Original Nail Polish Organizer. 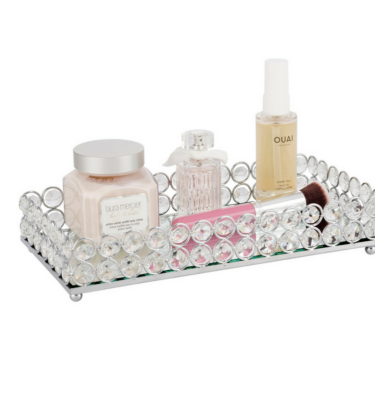 We have a Nail Polish Organizer for all your Nail Polish Storage needs. These Nail Polish towers come with the Glamour or Original handle. Please note, this is the Glamour handle – please view our product tab to view images and details for the Original Nail Polish Tower. The Makeup Box Shop is the home of the Original Nail Polish Organizer. 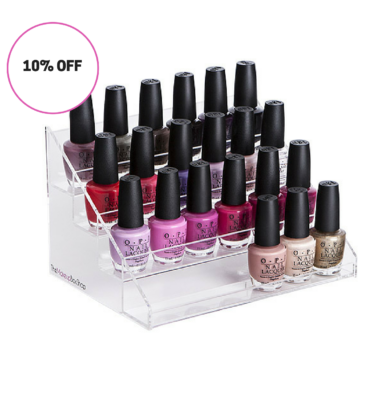 We have a Nail Polish Organizer for all your Nail Polish Storage needs. Two drawers 8.5cm tall. Flip Top section 8.5cm tall. Love this item! I feel like I am in a salon when I sit down to choose what colour to paint, such a great purchase!